Hardcover books in the best quality. Weddings have a lot of photos and these tailormade designs are ready to show all your precious moments. 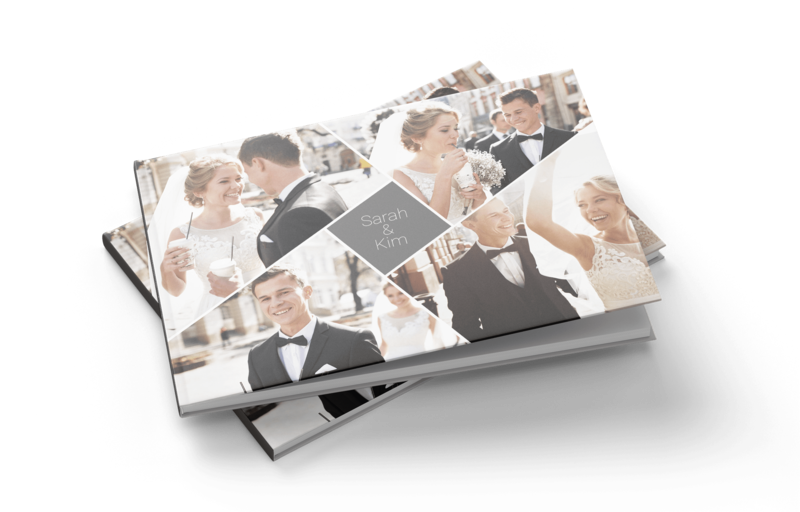 We have designed a solution that is directly tailormade for photobooks of weddings. 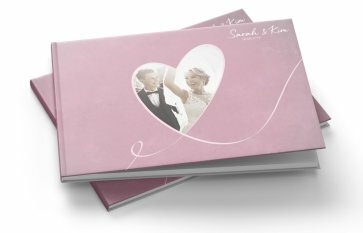 Our packages makes it easy and straightforward to make a photobook with many pictures, as we know is the case from a wedding. We strive to bring you a print-solution as cheap as possible. Our prices are generally matched with the market or below. 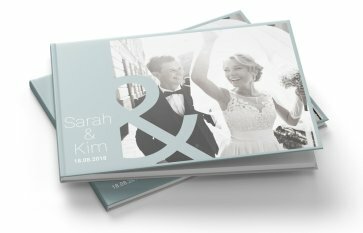 How is Wedbox PRINT different from other services? In most other design tools you have to add pages manually – and also create layouts of the added pages. 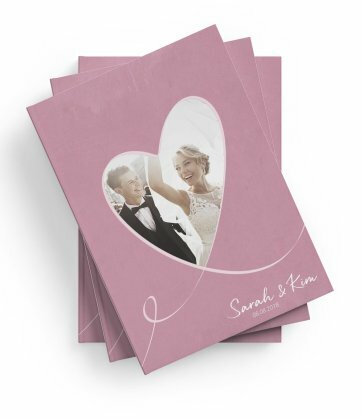 In Wedbox PRINT we have made packages for you, which fits the number of pictures you have, so you do not have more tedious work designing your photobook. We use a state of the art design tool with many options, which is directly suited for the demands of weddings. Do I have benefits of using Wedbox PHOTO? When you use Wedbox PHOTO you can directly download all your pictures in one go – this makes it easy to upload and create your photobook with as little effort as possible. In addition Wedbox PHOTO collects all your guests photos, giving you more pictures overall, as it is a big task to collect the photos manually. 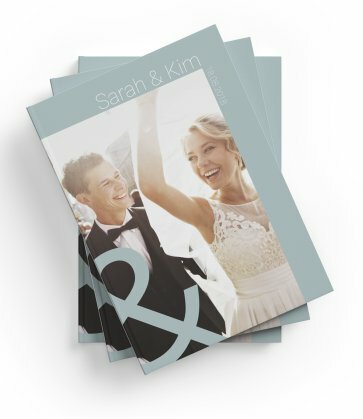 With Wedbox PHOTO you also have the possibility to connect your professional photographer, having all your professional and social pictures in one place – this is ideal for making a great photobook. 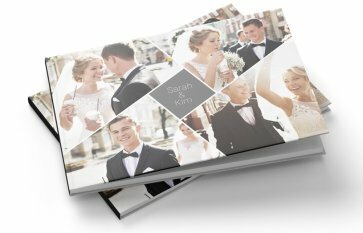 How do I create a photobook on Wedbox PRINT? Choose one of the designs – you can make your own later if you prefer. Select the size of the book depending on how many pictures you have. Then you simply create a login and upload your photos. You will have the possibility to design the layout of each page. An easy way to start is to use the autofill function. This will fill in all your uploaded photos, which you can then rearrange, change the layout or filter. We have a lean and smooth production process. So we have made it possible to deliver in only 6-8 business days. Even though we run 3 shifts, some times this will not be possible in peak seasons such as Christmas. If you do not get a delivery notification after 8 days please contact us at print.support@wedbox.com. Can I save a photobook and return later? You can save a project or a whole photobook in our design tool. You may also reorder photobooks which you have purchased. Why is Wedbox PRINT CO2 netural? We try our best to provide services of value which enriches peoples lives. Being CO²-neutral is a direct reflection of this goal. The carbon emissions from both the app, servers and the users of Wedbox have been neutralized by the building of new renewable energy sources, various CO² reducing projects and by the purchase of certified CO² offsets, which are cleared by the relevant government institutions. How long will my projects be saved? Your pictures will be saved for 90 days. If you want to keep them longer, then you have to login to the project and you will then have 90 more days to edit, add or order. This process can be repeated for as long as you wish to keep your projects. Can I design a different cover? 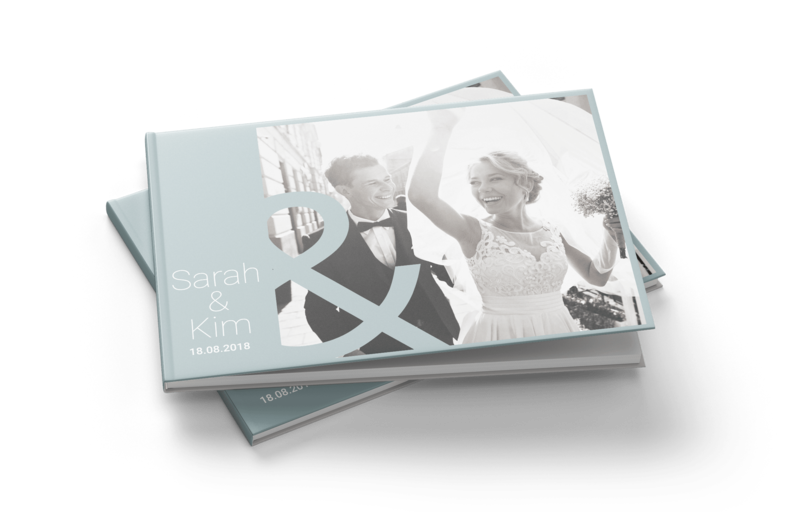 In the design tool you will be able to do a new layout of both the front and the back of the photobook, as well as the individual pages. We offer only one print configuration.